The past is a dark place. Everyone knows that. History is littered with murder, corruption and evil. But there are some who believe that history doesn't ever really die. Some folk say that an echo of the past lingers on, that the remnants of some human souls simply can't pass on to the next world, that they stay behind to taunt us and show us their pain. 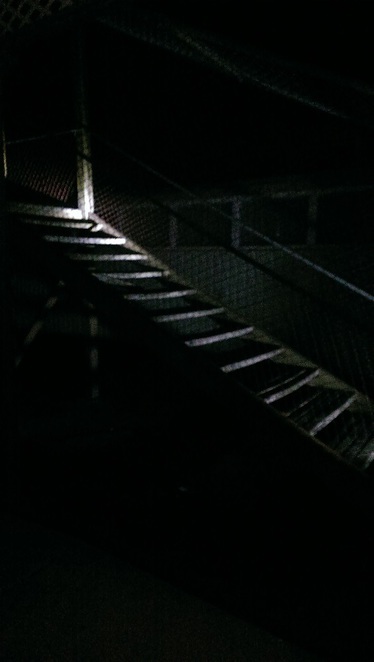 Even more sinister at night, Aradale's stairs sure don't lead anyplace nice. And if it's true that the dead are more likely to be trapped behind in this world when they have undergone trauma of some kind, lingering on in their ghostly forms and unable to move on, then that means some places – some God-forsaken locations – must be more haunted than others. 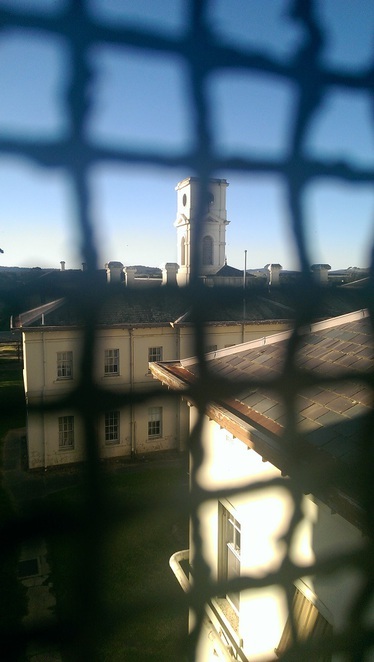 Ararat Lunatic Asylum, later named Aradale, is one such God-forsaken place. 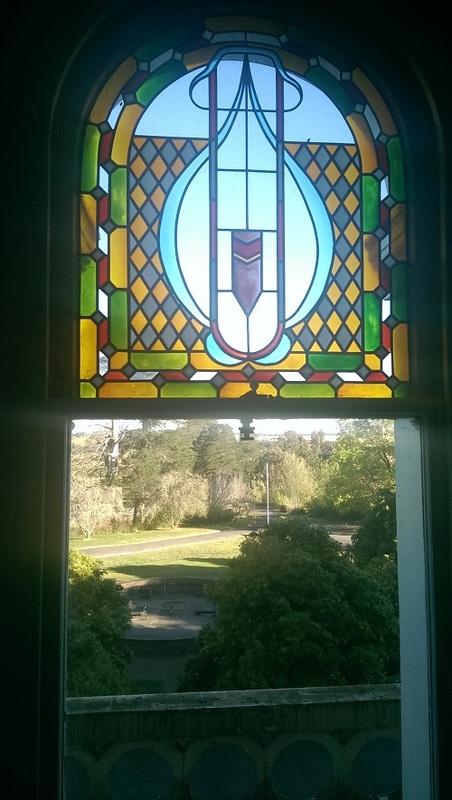 This mental hospital, two and a half hours north-west of Melbourne, saw more trauma, hardship and cruelty than perhaps any other place in Australia. The poor folk that were trapped there were described as the "worst lunatics in the British Empire". 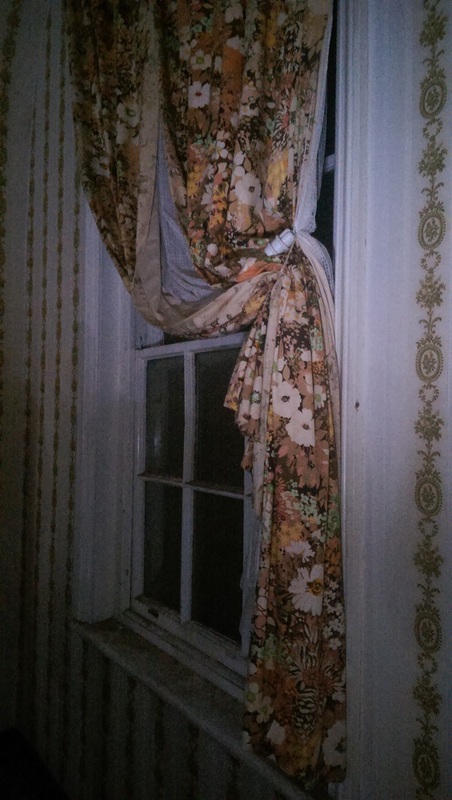 A pretty room - but what happened here sure as hell wasn't. It started off with good intentions way back in 1864. At that time, Victoria was in the final stages of the gold rush. Of course, the state had an influx of international arrivals, all desperate to make their fortune. Some did go on to find gold and riches they could only have ever dreamed of. Others, alas, were not as fortunate. All of a sudden, Victoria had a burgeoning population in areas like Ballarat, Bendigo and Ararat. Some of these folks had problems ranging from behavioural issues to alcoholism to authentic psychiatric conditions. Some just had the misfortune of not being able to speak English. Some people were unwanted or misbehaving wives. Whatever the reason – they were all shunted off to the local lunatic asylum. A daytime view of Aradale, peeking out from behind a "suicide cage". And my oh my, provisions were certainly made for housing so-called "madmen" and "mad women" by the thousands. At its peak, Aradale consisted of 68 buildings and housed more than 2000 patients and staff, and actually ran as a "town within a town". It now stands as Australia's largest abandoned lunatic asylum. Lunatic asylums are now becoming tourist fodder across Australia, presumably because enough water has passed under the bridge since these establishments were active. Monkey Morf Antiques and Such is another example, but at Tasmania's New Norfolk Lunatic Asylum. The architecture will impress you. The stories will horrify you. All manners of horrors occurred at Aradale, as one might imagine of a 19th and even 20th century asylum, having only closed in 1998. Take your pick – murder and abuse of patients, lobotomies, electro-convulsive shock therapy, straitjackets – the works. It's not a pretty history. Perhaps the traumatic time the patients had here is the reason it is just so incredibly haunted today. This place is uber creepy. It's architecturally beautiful – but don't let its good looks fool you. 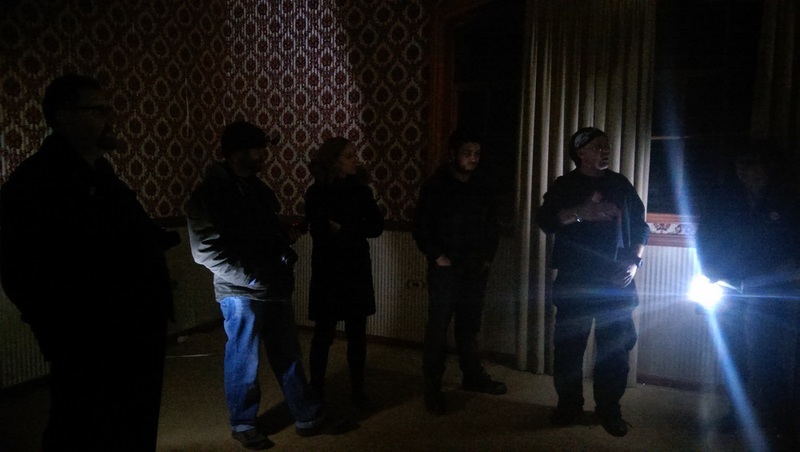 The ghost tours at Aradale, run by passionate historians, give a complete rundown of what life was like in such a frightening place. In the cellars. It is believed underground tunnels are located beneath the asylum. 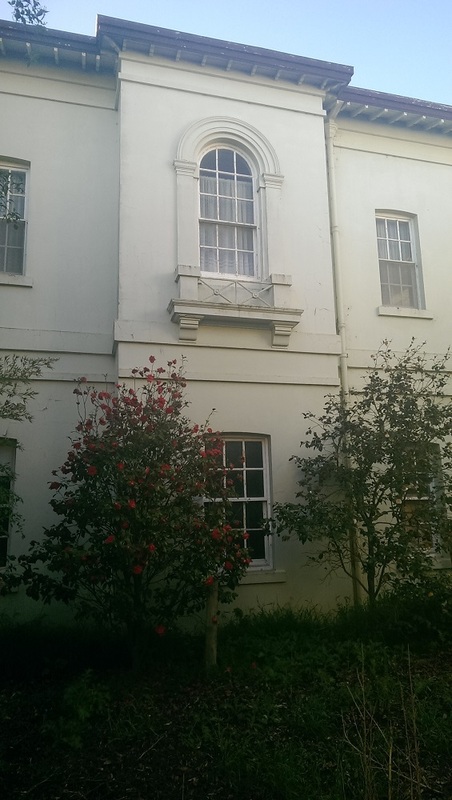 Expect to stand in the exact location where one of the first superintendents killed himself by drinking prussic acid, meander through the halls where young women used to scratch and bite at the passing nurses, and stand in the halls where patients were routinely subjected to brain surgery – before the days of anaesthetic, that is. And often without any real symptoms of mental illness. The ghost tour covers the history of the place, but also of the truly horrible hauntings that have occurred here – voices crying out and bumps in the night are certainly commonplace around these haunts (pardon the pun). 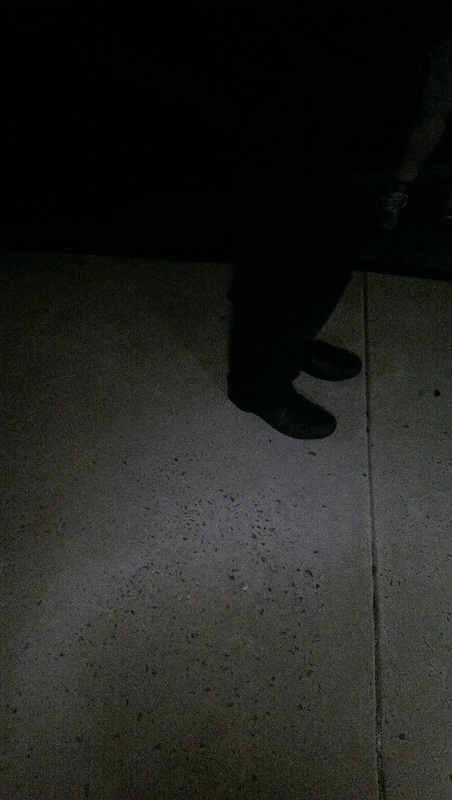 Much like Tasmania's Port Arthur ghost tours, guides pre-warn visitors that they could well experience their very own spectre while on premises. The Aradale tours cover the administration building, men's and women's wards, chapel, kitchens, infirmary and morgue. 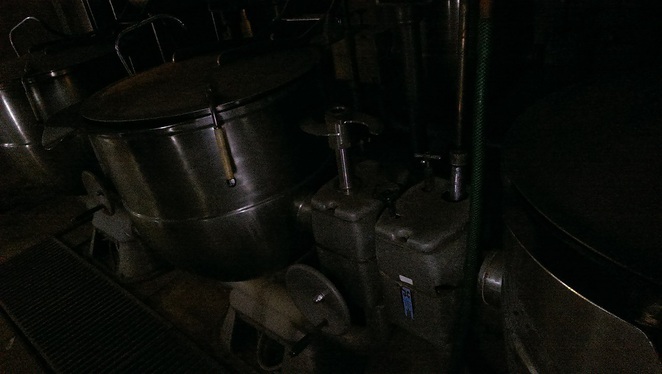 The kitchen pots where the meagre rations were prepared. Oh yes, the morgue. Delightful place, that is. Your guide will take you through the refrigeration station to the autopsy and embalming table and give you step-by-step information on what happened to the recently-deceased. If the hairs aren't standing up on the back of your neck by this stage, you deserve some kind of bravery award. Of course, for some of us, the idea of creeping around a horribly scary and sadistic former institution is just, well, not enough. Here's a peek at what the place looks like at night with infrared goggles. In the women's ward. The women must have gazed out the window, knowing they would never escape. 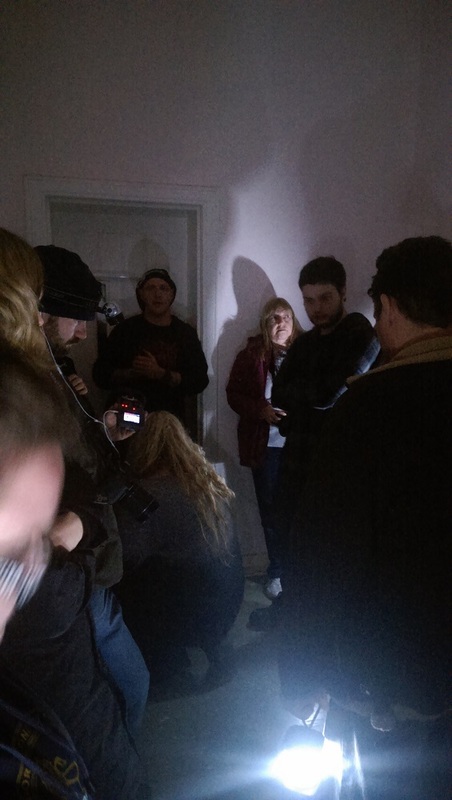 If you're really keen, the guys at Aradale offer a range of other experiences, including their Paranormal Investigation Tour. This is way cool. You will be kitted up with KII metres (to measure electro-magnetic fields), high-tech sound recording gear, the good-old infrared goggles, and even a neat little gadget that transforms energy into words. Your guide will sit you and your fellow investigators in a room where something God-awful happened, then try to communicate with any spirits that may still linger there. Trust me, when your KII metres go off, be prepared for a sweaty-palm onslaught. It's creepy stuff. Locked inside a women's ward cell. 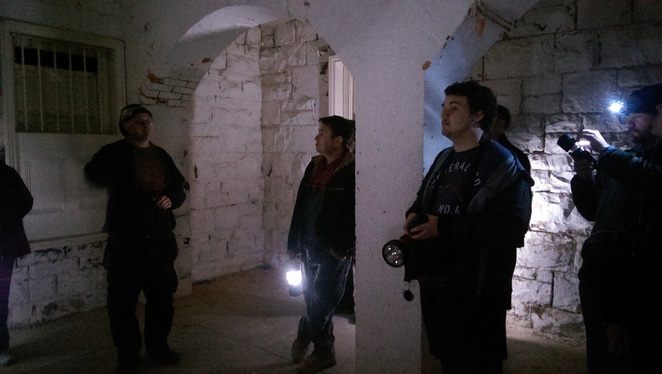 On alternate Fridays, the guys at Aradale run sleepovers for either the haunted tours or the paranormal investigations. Definitely worth it for the extra feeling that you "might not get out of here alive". So who are some of the "characters" you might encounter? Well if you're lucky enough (or unlucky, as the case may be), you might come across dear old Nurse Kerry in the women's ward. She's got a bit of a thing for watching the ghost tour groups as they walk on through. Then there is the feeling of being unwell and even dizzy in the room where the superintendent killed himself, so he is thought to linger on too. Old Margaret is said to be a regular as well - she was removed from the asylum in the late 1990s when the place was being shut down. But she had been here for so long that it had become her home. Trust me, you wouldn't want to be in their shoes. Aradale is an amazing location - it contrasts a stunningly beautiful and monstrously-sized exterior with a highly sinister, and quite sad, internal world. There are those that believe visiting former "lunatic asylums" is somehow disrespectful of the people that suffered so badly there. However it is through learning about and understanding our past that we can truly grasp the enormity of what happened to our forebears in creating our world and our society today. And it should never be forgotten. Rest In Peace, Aradale residents. Aradale now lies largely dormant in country Victoria. Port Arthur Ghost Tour by Alexander J Colvin Esq. Actually mjold, "Lunatic Asylum" is a completely historically accurate term. Seeming the tours there only deal with the history from 1867 to 1899 when they were called Lunatic Asylums, Hospitals for the Insane, then Mental Hospitals it is only fair to use the terms that were used back then and not sugar coat our history. Its great where mental health has come these days, but lets not forget our roots. I was supposed to go on a paranormal investigation at Aradale Asylum with eerietours and sadly it was an awful feeling experience, wasnâ€™t allowed to investigate by the guides and I lost money. Wouldnâ€™t recommend as my experience felt like the complete opposite to yours.